Your home may be your most important possession and your most critical investment. You want to maintain your house and the grounds around in a way that will enhance your property’s value and curb appeal. It’s the same if you own a business. Your landscape design is the first thing people see when they approach your home or place of work and you want to give visitors a favorable impression. L.I. Elite Lawncare does expert residential and commercial lawn care all at a reasonable price! 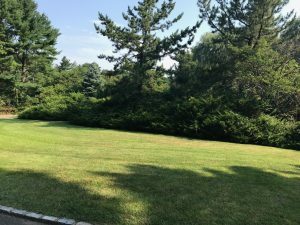 The bulk of our clients is for general landscape design on Long Island. We do both residential and commercial services between March and December. When you work with L.I. Elite Lawncare, we’ll get the job done. If you sign up for our weekly lawn maintenance program, we’ll cut your grass every week and haul the grass away. We’ll also smooth out the edges of your lawn by sidewalks, walkways, driveways and flower beds. Then our crew will get rid of your weeds and blow off any debris on your lawn, driveway, deck or pool. We make it simple, always letting you know when we’ll be doing your weekly maintenance in the area, usually on the same day each week, weather permitting. If you have special circumstances which require you to know when we’re coming, let us know. We pride ourselves on our communication with our clients. We spell out all of the services we provide in our contract and if there’s another service you’re interested in, ask us about it. We do customized plans. We’ll do aeration, fertilizer programs, and mulch installation if you request it. Our landscape work is always professional and we’ll give you a fair price. L.I. Elite Lawncare offers very competitive prices and we make certain our crews are legally eligible to work and always dress properly in clothing bearing our logo. For top notch service, professionally done at a great price make L.I. Elite Lawncare your first call and contact us today.